One city. One book. Lots of ways to bring neighbors together. What if everyone in Wauwatosa read the same book at the same time? 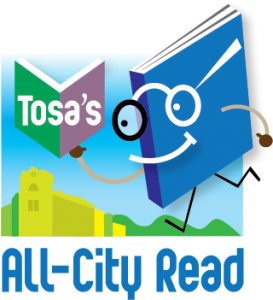 That’s the idea behind Tosa’s All-City Read, a common reading program designed to bring neighbors together and build a sense of camaraderie and community while promoting literacy at all ages. We hope you’ll join in the fun! Emily St. John Mandel was born in British Columbia, Canada. 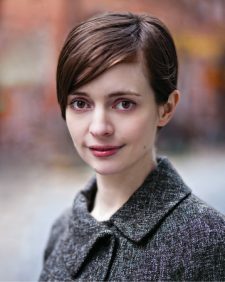 She is the author of four novels: Station Eleven, The Lola Quartet, Last Night in Montreal and The Singer’s Gun, which was the 2014 winner of the Prix Mystere de la Critique in France. Her short fiction and essays have been anthologized in numerous collections, including Best American Mystery Stories 2013. She is a staff writer for The Millions and lives in New York City with her husband and daughter. Join us for a Conversation with Emily St. John Mandel on Sunday, February 24, 2019. Watch this space and follow us on Facebook, Twitter and Instagram for details as they become available. 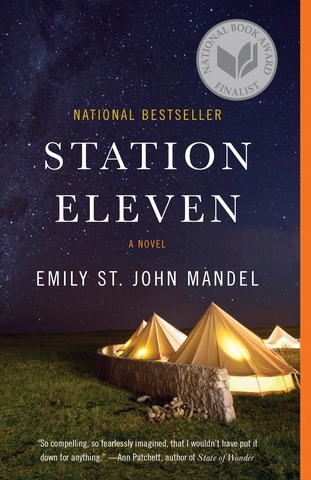 Visit her website at emilymandel.com. 1. Join or start a book discussion in your neighborhood association. 2. Attend one of our public book discussions listed on our Events Page. 3. Take part in our fun events and activities. Come by yourself or bring your friends and neighbors!